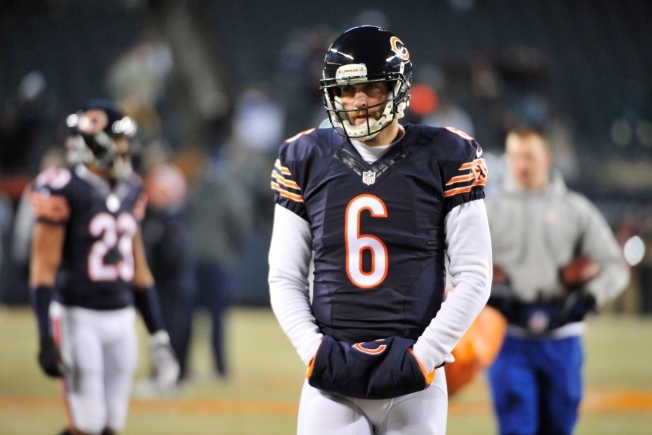 Chicago Bears quarterback Jay Cutler is a sympathetic figure. Unfortunately it took offensive coordinator Aaron Kromer criticizing him in a recent report to draw out the sympathies. Last week after the Bears were blown out by the Dallas Cowboys, Kromer told NFL Network reporter Ian Rapoport that he was upset that Cutler didn’t check out of bad plays in the game, and that he was “killing” the team. 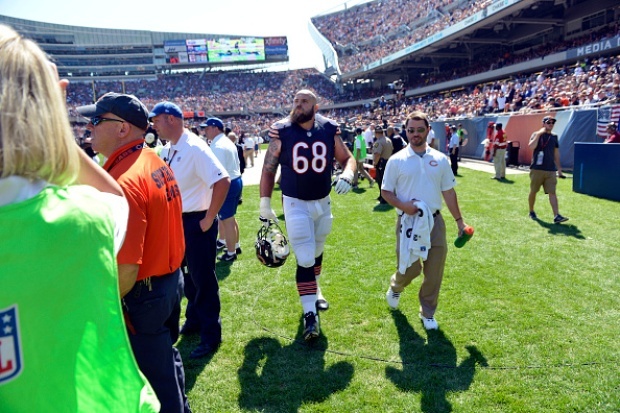 On Monday, Kromer apologized to Cutler and the team for the remarks, admitting that he was the source of the report. On Friday afternoon at Halas Hall, Cutler had every right to admit that he was upset with Kromer, and that the criticism stung. Instead, the quarterback took the high road and shrugged off suggestions that his relationship with his coordinator was damaged. Cutler also complimented Kromer for stepping up to the team, saying that if Kromer hadn’t come forward the team never would have known who made the statements. Contrast that to what Kromer and Trestman had to say during their respective press conferences. Kromer dodged questions and insisted that he wanted to talk football and handle the other stuff internally (didn’t you already let the cat out of the bag on that one, Mr. Kromer?). Trestman said that Kromer talked to him about the report on Friday (even though it didn’t come out until Sunday), and echoed the same sentiments about handling the matter internally. Cutler did that to a degree as well, but instead of justifiably expressing anger that he had been called out in the press by his offensive coordinator, Jay elected to take the high road and accept Kromer’s apology. He maturely decided that having a spat in public could be just as bad as what Kromer did in the first place, and instead of pouring gasoline on the fire, he instead tried to quash rumors of discontent and insisted that Kromer made a mistake and not some unforgivable sin. In a season where Cutler and the Bears have struggled mightily, their quarterback scored arguably his biggest victory on Friday. Straddling the line between being angry at the guy who stabbed him in the back and crying victim to the media, Cutler instead took the best path available: he forgave Kromer and elected to move on.